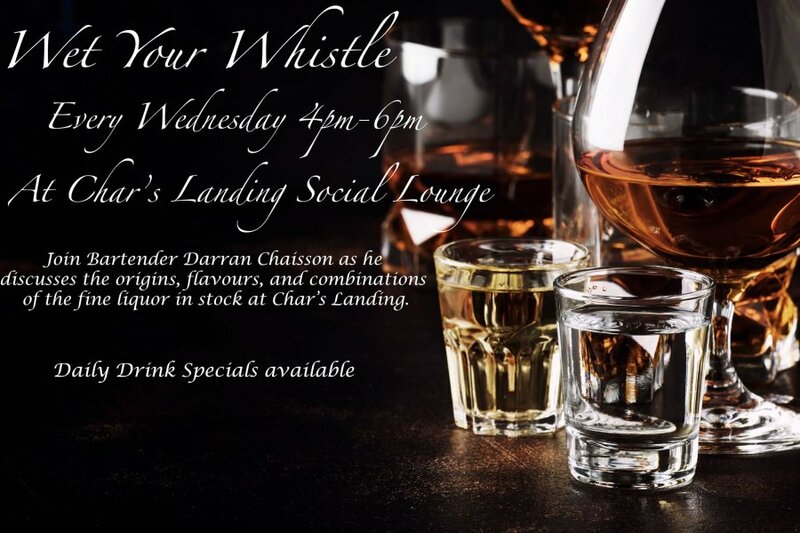 Come down to Char's Landing on Wednesday's 4pm-6pm and Wet Your Whistle. I'll be behind the bar this time, so I'll be able to answer your questions about the oriGINS, flavours, and mixing possibilities of everything we serve. This is a spin off of my Whisky Tastings, but instead of just whisky, we will be going through and tasting all of the liquors available at Char's. Everything from Gin and Vodka, to Tequila and of course Whisky! Taste different flavours with two 1/2 ounces at a time for comparisons, and then sit back, socialize with other aficionados to chat about Life, the Universe, and Liquor. Great chance to pick up your advance tickets to Char's upcoming concerts !